In 1984, Gemi Trucking, Inc. was founded in Eatonton, Georgia by Gene Adams who currently serves as president and owner of the company. Originally, Gemi Trucking was an earth moving company and gradually expanded into a food grade bulk carrier. Today, Gemi Trucking offers domestic and international shippers first-class motor carrier services. Gemi Trucking tranports intermodal, breakbulk, bulk, RoRo, special project and heavy lift shipments and provides shipside delivery services. The company currently has offices located in Savannah, Georgia and Eatonton, Georgia. 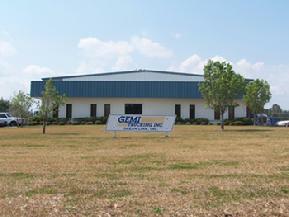 Gemi Trucking is a regulated common carrier (USDOT#342250) and transports general commodities. The company serves the U.S. Southest Region to include but not limited to Georgia, Alabama, Florida, Louisiana, Mississippi, North Carolina, South Carolina, Kentucky, Tennessee, Texas, Virginia and West Virginia. Gemi Trucking features locations in Savannah, Georgia and Eaton Georgia and transports cargo throughout the U.S. Southeast region and beyond.